Set a good example when comes to money habits, and you'll raise financially responsible kids. Here's how. In many homes, money is treated like a well-guarded secret. The majority of parents do not tell their children how much money they make or how much things cost. Financial secrecy in households breeds money fears and misconceptions. When your children are young, engage them in age-appropriate conversations about money. As they mature, you can provide them with more detailed information about your family's finances. If your children watch your spending habits, what are they seeing? Do they see a person who spends impulsively and does not have money to pay the bills? Or do they see a person who carefully plans expenditures? Your children will get a clearer message from your behavior than your words. Be careful to practice what you preach. the process of opening an account. When your children receive money as a birthday gift or an allowance, require them to save a portion of their money. Set aside time each day to watch shows about stocks, business deals and money. Discuss the content with your children. Explain any terms that they do not know. For younger children, you can find money kid-friendly money videos online. Many people get into financial trouble because they do not know how to patiently wait until they save enough money to buy the things they want. Impatience is the primary cause of credit card debt. It is in a child's nature to want everything immediately. As a parent, you must do your best to instill patience in your children. If your child wants a new pair of shoes, show them how to save up the money for the shoes. Create a chart to help them track their progress. Children should be required to do basic chores such as cleaning their rooms and washing dishes. After basic chores have been completed, you can offer them the opportunity to earn extra money by completing additional tasks. Encourage teenagers to find a summer job. Other things they can do to earn money are wash cars, mow lawns, walk neighbors' dogs and provide sitter services. Children must learn how the world outside of their homes operates. 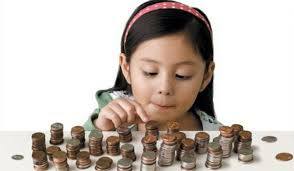 Earning an income at a young age will teach them to respect their money. If they earn and save enough money, they may not have to apply for student loan help to pay for college. This article was written by Jackie Cohen from Kids Ain't Cheap and was legally licensed through the NewsCred publisher network. Please direct all licensing questions to legal@newscred.com.